Maybe its because my favorite color is purple and this is lavender. Or maybe its because this dress is simple & different all at the same time, but for whatever the reason, I fell in love with it at first sight. Mila Kunis was gorgeous in this Elie Saab gown last night at the Oscars. It was a little low cut for me, but she wore it honey! Loved it! A few of my other faves after the jump! I think this year for me was about simple & daring. 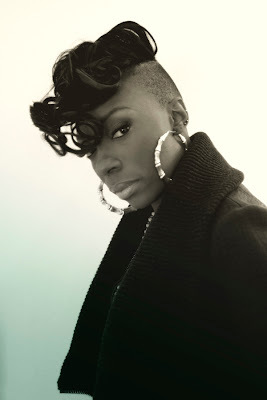 Last night, Diddy sent this twit pic out of his bandmate Kalenna's new hair do. This isnt news, but Im posting it because I just had a conversation with someone about women rocking these extreme hair styles. I mean styles that are shaved on the sides or very short and then long in other areas. Ok! My Spelsis is shutting this spread DOWN! :) Love it! Keshia Knight Pulliam has always been beautiful. I love love LOVE what she is doing with these colors (or what her stylist did with them). Keshia has a set in Rolling Out's latest issue touching on a little of everything.. had to give this s/o to her! Also to my ETC (lol) Robert Ector behind the lense.. always perfection. More pics and get some/all of the look after the jump! Yall remember when Hype Williams was THE man for videos? Also can anybody get the rest of Rihanna's shirt & bring it to her? Thanks. Maddox Christian hahahaa... SO CUTE! This is his.."Just another Sunday" look! Love it! More pics after the jump. I have to just say.. at the first thought, I dont think anybody was excited about Jessica Simpson's clothing line. Seems in time, we have grown to love her shoes if nothing else! I mean, they are too cute & affordable! These in particular (Garita) are kinda fresh.. theyd step any fit up a notch & as we know animal print is in heavy right now. Love these. 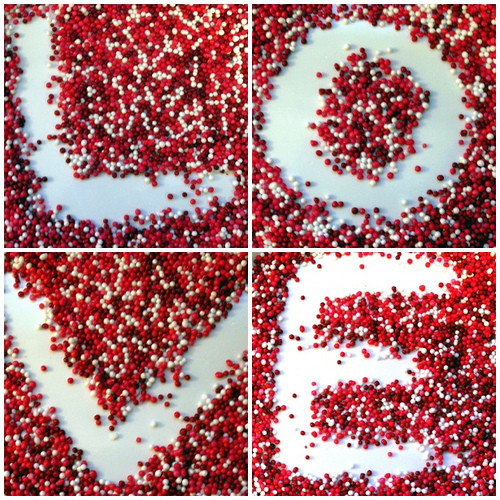 Alanis Morissette is an amazing artist! Love her lyrics and her approach. 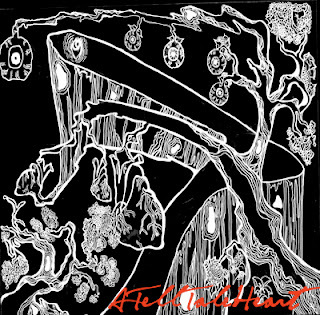 The texture of her voice is insane to me. Anywho she has a great list of accomplishments as an artist and on Christmas day she added Mommy to her life list of accomplishments & is this picture not cute?! Alanis is 36 and Souleye is her first child. Check out her letter to fans about being a mom after the jump! Serena Williams is a house hold name..Id venture to say around the world. Not yet 30.. Serena will go down in the history books for many reasons. She not only holds records as the first Black woman to accomplish many achievements, but as the first woman/person to do them as well. Just when we thought Egyptian President Hosni Mubarak's resignation would spark hope for democracy, the protests have inspired several other North African and middle eastern nations to revolt against their respective governments and show support. I dont think she cares if you dont love her, but I think she's so funny. The thing about her is, she's the same all of the time. The same Roseanne in interviews is the same one from her hit sitcom. This photo taken of her over the weekend is a riot! Its all about the pose & the face! LOL..
Ok, well maybe its not YOUR invitation, but hey.. some people were more than eager to get their hands on anybody's invitation to this wedding. Prince William and Catherine Middleton's wedding is the biggest royal wedding, arguably since his late mother Princess Diana's wedding to his father Prince Charles. What separates your invitations from theirs? 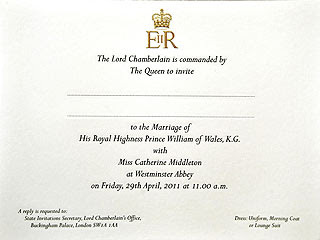 Well.. your invitation isnt a "Command by the Queen" to attend your wedding! lol.. Guests were also asked to dress in military uniform, a tailcoat, or business suit according to People. Hmph.. this is not a game! lol Im happy for this wedding I like these two..
Rihanna's halftime show at the All Star game was ok last night. I think Rihanna had a couple of moments in there to show that she can sing a bit & dance a bit. I do wanna say that it is hard to do both effectively in the same set, so kudos to her for a firm show. Joining Rihanna on the stage last night were hip hoppers Kanye & Drake...good look, check the video after the jump. I had the opportunity to meet him and experience him live a couple of years ago and I literally purchased all of his cds after the set! LOL Not only did he captivate us with his voice, but for his fans its truly about the whole experience. His whole presence. The range. The approach. The way he uses his vocals as an actual instrument. Few singers learn to tap into the fact that their voice IS really an instrument & learn how to execute it in that way. I mean it is clean! Its always an epic occasion when another Marchesa/Louboutin collaboration is birthed. I mean, look at these! The whole line is really something else, but these are my favorite. Its all about the contrast in color and the detail on it! & I LIVE for the heel that this unearthly collab is known for. Just beautiful! Check my 2nd fave shoe from the collection after the jump. These wax figures freak.me.out! They look so real that at times I cant tell right off whether Im looking at a person or not. Prime example is the photo above of Will Smith's wax figure that was premiered yesterday in Las Vegas at the Madame Tussauds Wax Museum! It looks like a real person right? I mean after looking a bit there seems to be something slightly off with the angle of his head, but I mean the details are astonishing! Crazy right?! Stop the world! Do yall see these wedges? First off the height alone is bananas. You have to be serious about that thing to rock these! That being said, I also absolutely just love the shoes. They are giving me so many different things, but I like them all. I really dig both of these & to think they are both about $100.00 ...ssay what you want about Michael Antonio- but Id rock these!!! Like em? When I say I love this! From the suit to the tights and the shoes of course! You have GOT to have a tude' to rock it though. Marc Jacobs is that guy. 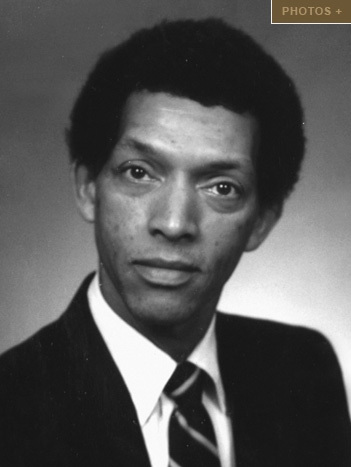 George Carruthers is a scientist well respected for his contributions to science! He is most recognized for his work focusing on ultraviolet observations of the earth's upper atmosphere and of astronomical phenomena. He also invented the first moon-based space observatory. This invention was carried to the moon by Apollo16 in 1972. The camera was placed on the moon's surface and the researchers used it to examine the Earth's atmosphere. WOW right?! It's bad enough gas prices are above $3 in many cities, retailers report prices for clothing and necessities will rise this year as commodity costs jump. Remember when the cost of bread, milk and eggs rose last year? 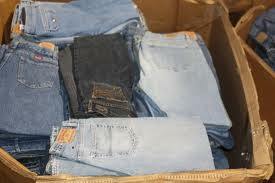 By the fall, we will pay more for blue jeans, shoes, lunch meat and appliances. The New York Times reported cotton prices are near their highest level in more than a decade, after adjusting for inflation, and leather and polyester costs are jumping as well. Copper recently hit its highest level in about 40 years, and iron ore, used for steel, is fetching extremely high prices. Satin Strings.. Lace all over.. Id rock them...what say you ladies? Yall KNOW I Love Brian Atwood! These are No Exception! Weerrk! I love them and so do lots of celebs! These go for about $700, buuuuuut if you want the same look -Steve Madden has it for $100 check it & pics of some celebs rocking these after the jump! Thanks to People.com we get a few clips of some celebs and their bffs/pals/partners hanging out Grammy weekend! The pic above is so cute. Bey & Gwyneth are kinda bffs by default being that hubbies Jay Z & Chris Martin are best buds. Gwyneth has talked much about Beyonce being a huge support and friend as she's venturing into her music career. So, it was no surprise that Bey was backstage holding her hand (literally) just before her huge show on music's biggest stage. Peep more pics after the jump! Yes.. that was Cee Lo in that peacock out fit! LOL Lets talk about Gwyneth and those Louboutins though! Werrrk honey! These two really delivered a fun performance. It was one of my faves along with Janelle Monae. I have lots of respect for Gwyneth for not being afraid to get on stage at music's biggest night and say, hey I can sing too! Gwyneth was chilling in the audience with good pal Beyonce when she wasnt ripping the stage with Cee Lo. If you missed the performance catch it after the jump! 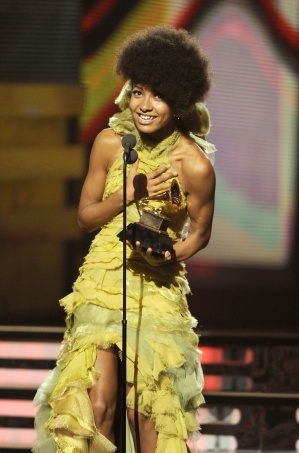 The Biggest Question Last Night: WHO Is Esperanza Spalding!?.. ..& HOW did she win Best New Artist over Bieber!??? Well BabyKayKs.. here is a lesson in Grammys; most people probably watch this show and think that their own personal favorites should win every award. And honestly many awards shows are popularity contests. The great part about the Grammys though is that its not quite the same type of popularity contest. Whether you think an artist is "bigger" or "better" or not doesnt decide who wins at the Grammys. A Committee of musicians, singers, songwriters vote on these 100 plus categories and thats what decides who wins. The Grammys.. (or any awards show for the matter) are sure to bring out the fashionistas/os and fashionless! This year was no different. As the stars crowded the red carpet for the 53rd annual Grammy Awards, some were hits like Justin Bieber's girlfriend pictured above, Selena Gomez. Others were misses; Nicki Minaj, Gretchen Wilson, and I hate to say it, Katy Perry! Peep a few of those after the jump.. I just love it when twitter proves to be a voice for celebs! One of my fellow bloggers.. who's blog I do NOT frequent, found herself in a bit of a twitter convo with Rihanna today. Sandra Rose is known for her negative, gossip centered blogging style. I believe many celebs (who wouldnt get much pub without it) ask her to make up some of the stuff she posts. The golden-voiced homeless man who instantly became a household name last month, spoke of redemption and coming back from his rocky past in an interview with CBS news Wednesday. 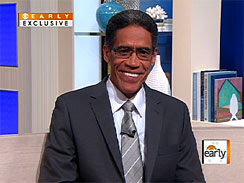 Ted Williams, whose sudden rise to fame led him to relapse into drinking, insisted he's starting a new chapter in his life and is focusing on helping those in need. He said his troubles, with drinking and family members, are "behind me." The Associated Press reports today that the congresswoman is speaking "more and more" one month after being shot in the head at an event with constituents that killed six others. 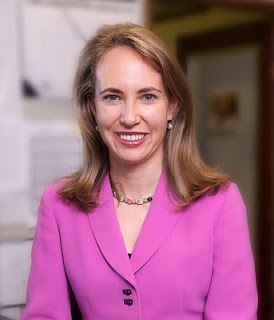 Giffords' spokesperson C.J. Karamargin confirmed that her speech is improving although he does not know what her first words were. Usher Is my Fave Celeb Dad! He & Kids At Bieber Premiere Last Night= ADORABLE! These kids are just SO cute! Geez! & Always so fly too! LOL..He took the boys to Justin Bieber's Movie Premiere for Never Say Never last night. Naviyd (the little one on the right) always looks like he's the rowdy one doesnt he? & Usher V (or Cinco as they call him) looks I MEAN just like his daddy! ! I love it! We see pics of Usher and his sons out and about regularly and I think thats great! These guys are adorable! Even Happy Birthday Sounds AMAZING when Brandy Sings It! We hear that saying all of the time. Whenever someone wants to validate something as authentic or legit- they refer to them as the Real McCoy. It stems from the son of former slave owners, Elijah McCoy. Elijah (1884-1929) was a mechanical engineer and inventor. He's most known for his invention of his steam engine lubricator. That among his other industrial inventions are what coined the expression, "The Real McCoy"! Dope right?! Many people face the inevitable and scary idea of a stalker on social media networks. Now, the guy responsible for Facebook has found himself dealing with that very thing. Zuckerberg has filed a restraining order against Pradeep Manukonda, who has been stalking him and his family members via his billion dollar social media network. I would have done the same thing considering the messages he'd been sending.. peep them after the jump. I think its safe to say that Dawn Richard was easily one of the favorites of Danity Kane. I just got the feeling from a lot of people- even early on, that she was well liked. I really didnt start to notice her until that Dollhouse album. Thats when I really started to pay attention to her sweeeet tone. Check a joint from it after the jump! Christina Aguilera Bombs the Superbowl National Anthem & Some Epic Ones! So unfortunately, no matter how excited I was about the actual football game yesterday, if Im honest- the most exciting part of the Superbowl games for me is always the National Anthem! Its actually one of my favorite songs to hear performed. Beautifully written & arranged incredibly! Speaking of XTina's Performance: Best Part - the LOUBOUTINS of Course! The side view doesnt do what the front view of these did! I mean.. they were hot on the field! I almost could ignore how bad her performance was for her shoes (check em after the jump)! lol. Ok, truth is, I respect Christina lots! They lost.. but you gotta give it to Mike Tomlin.. he's a looker! & Ever noticed how much he looks like Omar!? Foine.com! Usher Surprise Super Bowl Halftime Performance & Announces More USA OMG Tour DATES! #TEAMUsher got a great surprise yesterday when Usher joined OMG writer/producer Will.I.Am & the BEPs unexpectedly for the halftime show! The NFL was only promoting the BEP performance but I got word just before he hit the stage that he'd be joining them! He delivered a great dance performance as always! 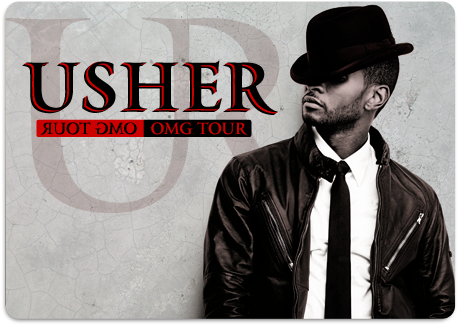 Most importantly..for those of us who missed his first USA leg of his world wide OMG tour..he announced NEW DATES! Im SO there!!! More info & check his halftime show after the jump! Congrats to Toya Carter -She Is Officially an Author! Reality star Toya Carter recently added business owner to her resume. Today, it became official, she can now add author. As fans watched her talk about and prep her book, Priceless Inspiration, on Tiny & Toya, the anticipation to have a greater glimpse into Toya's life was evident. Fans were eager to get their hands on the book they witnessed her writing. She promised over and over that even after some other deals had fallen through, that her book was still coming. With the help of twitter, she was able to keep everyone updated on its status. If I can say anything about Toya, I can say that everything she has said she was going to do- she has done it! Major congrats & blessings to her for that! 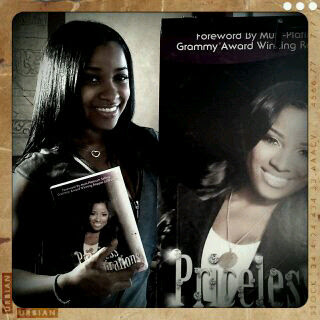 More pics, including Toya's biggest fan her daughter Reginae posing with Priceless Inspiration. I know some dressers! 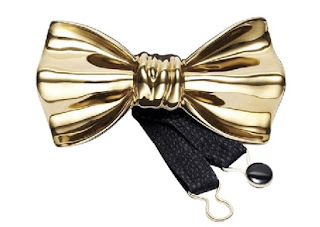 Male and female...my question is, could yall pull off this bow tie!? For about $240, you can put your best foot forward with it. I mean, the idea was sorta weird initially, but the more I looked at it, the more I want one! LOL! I would SO wear this, consider it a hot piece of jewelry..annnd weerk. Thanks to Teen.com, fans can have a sneak peek into JB's upcoming film, Never Say Never. In the film, the teen throb's life story is profiled. Though just a teenager, obviously he has either an incredible journey- or is just that big of a star to be releasing such a film. Which we all know will pull major numbers once released..lol.. this is for all of the Bieber heads out there! Rihanna was excited to share on twitter yesterday that she and Drizzy Drake were confirmed to perform at the 53rd annual Grammys! Shortly after Rihanna's tweet went live it was also announced that Gwyneth Paltrow will be hitting the stage with Cee Lo for a duet..cool beans. I actually still look forward to the Grammys :) Check our Rihanna's actual tweet after the jump. 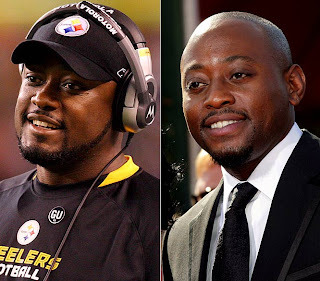 Im honored to share with you guys some Black figures whom you may not see in your text book or activity sheets for Black History Month in school. As I said last year, this in no way discredits the popular figures. Their work is equally important and respected, but I do feel as though we overlook the many 100s of other Black figures who have contributed to this world in ways that have allowed them to go down in history. 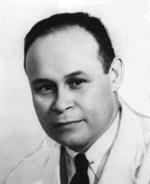 I'll share some of them with you, starting with Dr. Charles Richard Drew, medical doctor and blood bank visionary. Egypt's President Hosni Mubarak disappointed a quarter-million protesters Tuesday demanding that he step down immediately, announcing he will serve the last seven months of his term and "die on Egyptian soil." 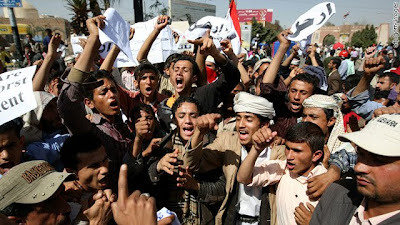 Mubarak promised not to see re-election, but that did not calm the public's fury as clashes erupted between Mubarak opponents and supporters. The move threatens to inflame frustration and anger among protesters, who remained quiet until last week. I love this little jump off. Its one of those shirts that you can knock around in but it adds that extra touch of fab to whatever youre wearing. I always wear something I love everyday..it makes me happy lol. I know if this were really in KayKi's Closet Id grab it often just to chill in its so cute! More info on where you can get this one, or a less expensive one after the jump! Oh and pics of the ladies in it too! Im sure this track is unfinished but you can tell its going to be a banger! I love it.. feels very Brandy ish to me and yall know thats always a plus! I actually love that the track is non existent at the end. Omarion can definitely deliver great records.. after icebox I had to respect dude. Peep the record after the juuump!! !